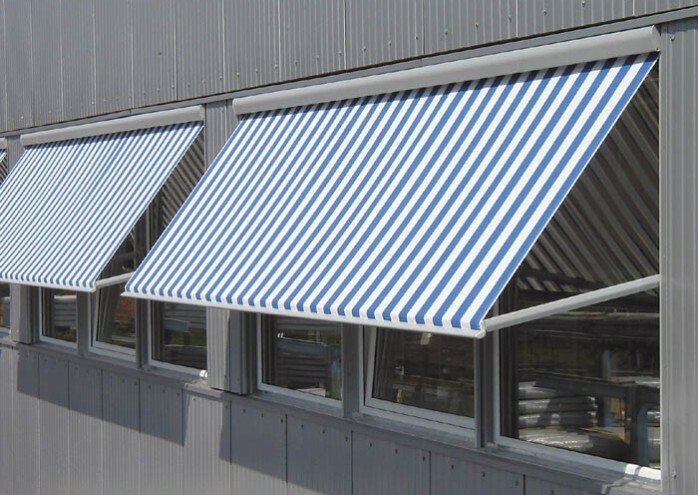 Metro-Box drop-arm awnings are ideal for providing shade in window recesses, on balconies or as a vertical shading on a patio enclosure. The Metro-Box model comes with an integrated protection box, which protects the fabric and allows for easy wall or top installation. The sloping cover allows for the perfect blend of an unobstructed view of the outside and a cooler interior. 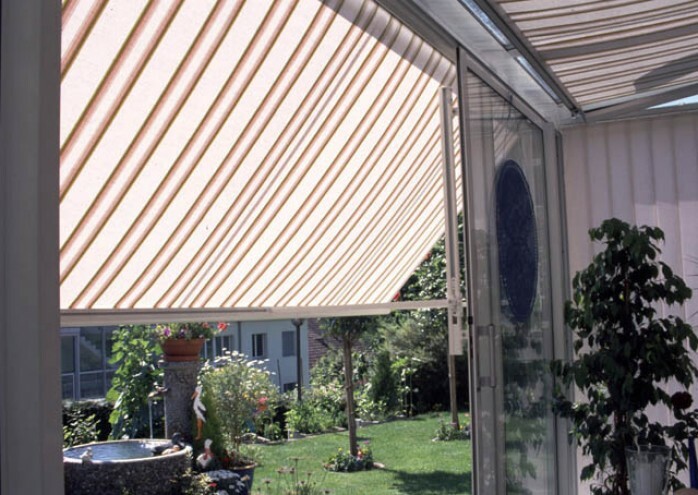 The awning can be made with either an acrylic fabric or a wide variety of screen fabrics. The projection angle is freely adjustable between 0° and 155°, providing the ideal combination of sun protection and daylight. 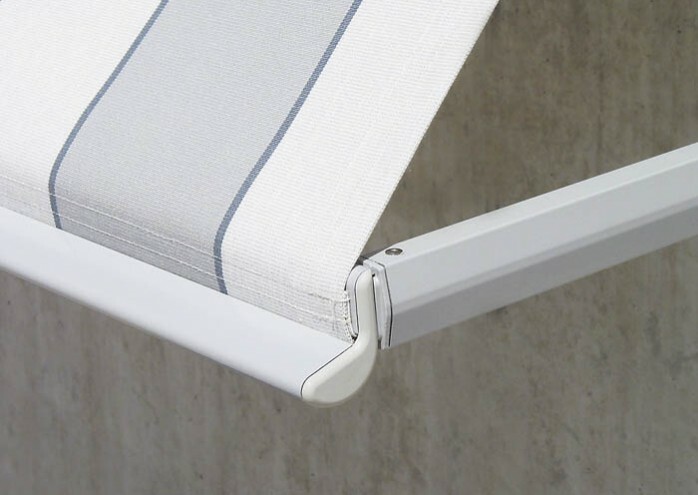 The aluminum drop arms with integrated spring elements guarantee perfect tensioning of the cover and prevent flapping in windy conditions. The Metro-Box is operated by a smooth-running bevel gear or an optional electric motor.